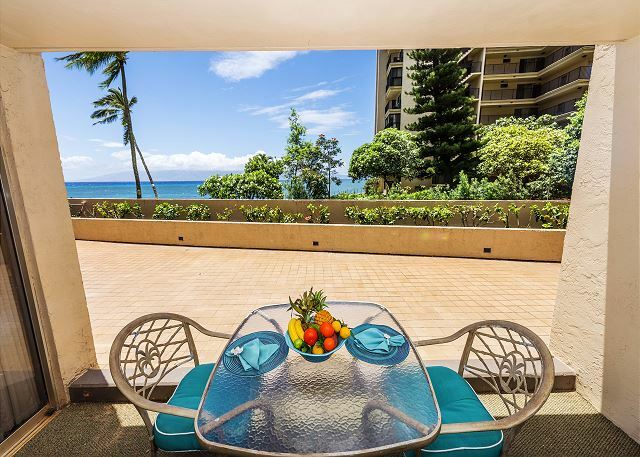 Experience the true sense of ALOHA at the Royal Kahana Resort! 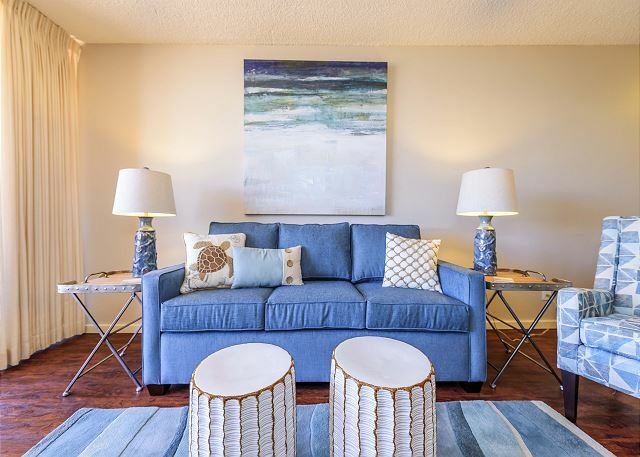 We offer a much in demand ground level condo with all the amenities of home. 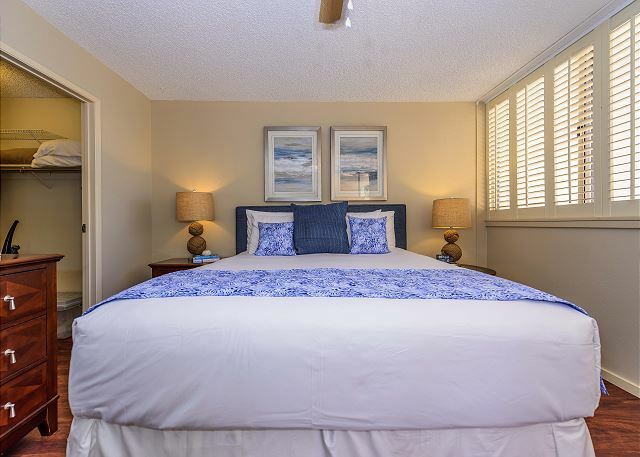 This spacious one bedroom, one bathroom suite is elegantly REMODELED with beautiful island décor. 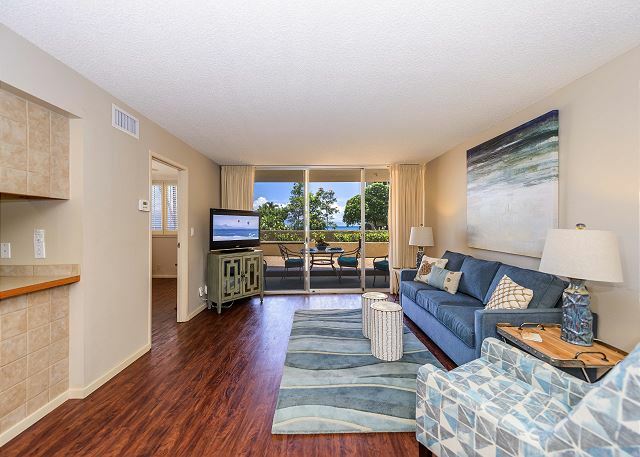 It has a private lanai with a spectacular ocean view, a fully appointed/state of the art kitchen with granite counters, and a beautiful tiled bathroom with a full size bathtub and shower. The additional sofa sleeper in the living folds out to a queen size bed, allowing for 4 people to sleep comfortably at any time! 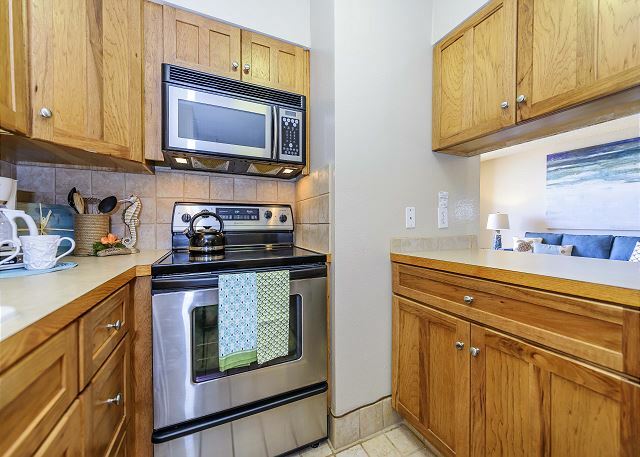 For your convenience, the kitchen has a coffee pot, blender, dishes and all the cookware you could possibly need to make a gourmet meal. 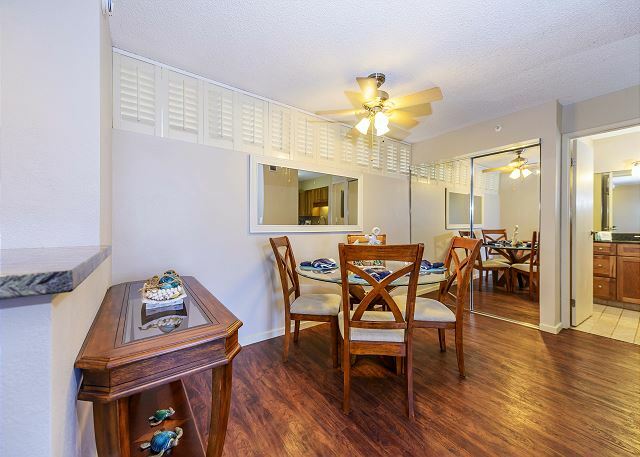 You can enjoy your meal on your lanai or in your dining room while watching the sunset and listening to the waves crash against the shore. 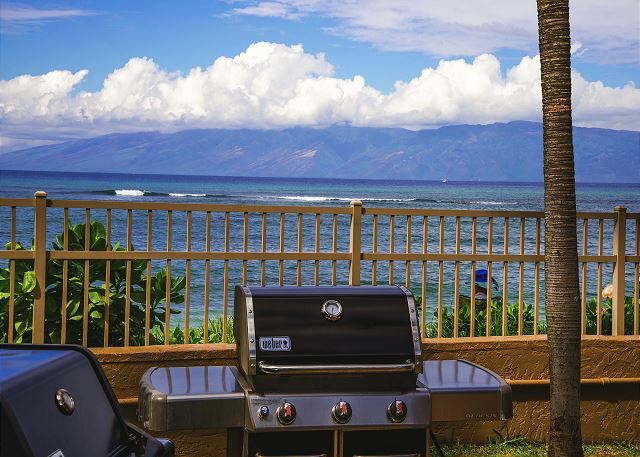 Or, if you prefer, you can cook your meals outdoors at on one of our BBQ grills located on the resort's lush tropical grounds. 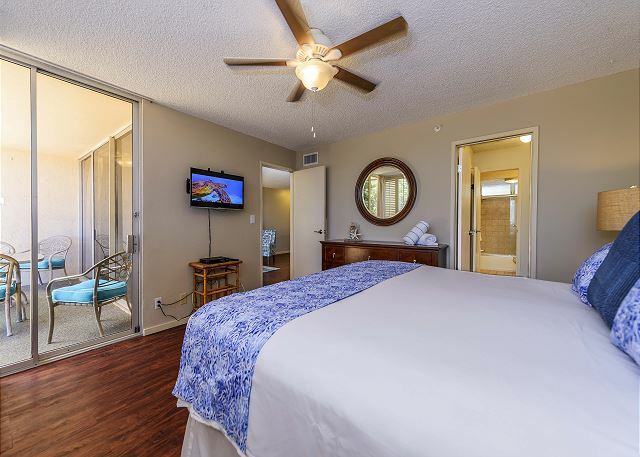 Also for your convenience, there is a blow dryer, linens and towels in the unit along with your own private washer and dryer. It doesn't get much better than this! 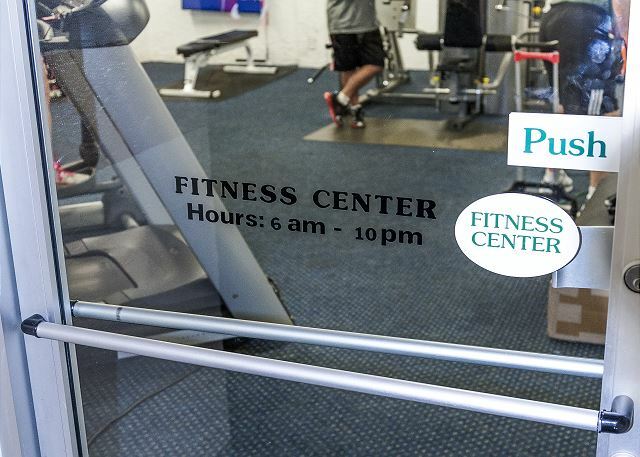 The resort offers a heated swimming pool, shuffle board, a fitness center, an activities desk, and WI-FI. 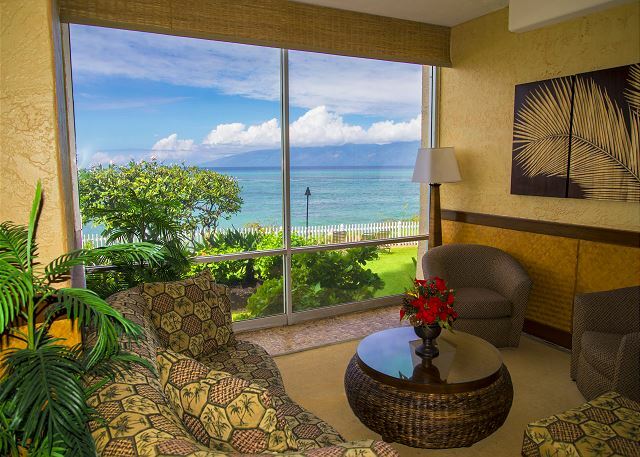 From December through April, you can watch the whales breach directly from your living room, private lanai or as you stroll along the ocean. 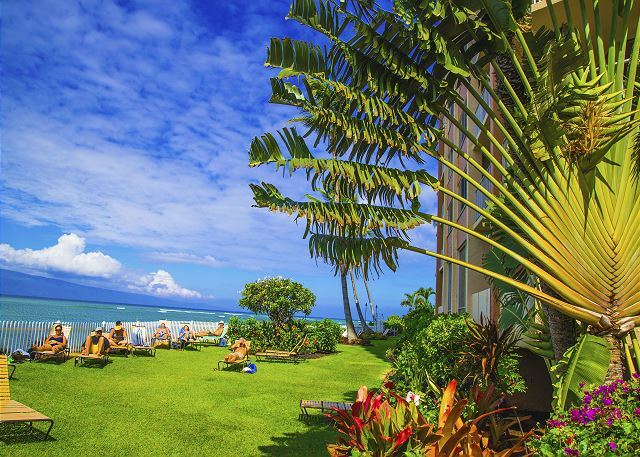 The Royal Kahana is one of the highest demanded resorts on Maui. 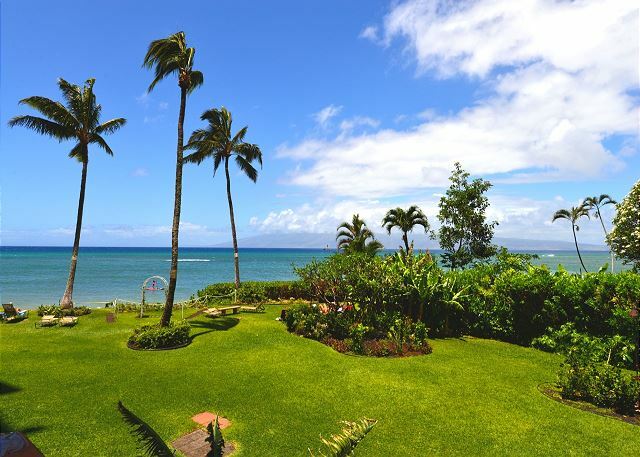 The location is prime, right on the ocean in West Maui and close to all the places you want to visit while here. 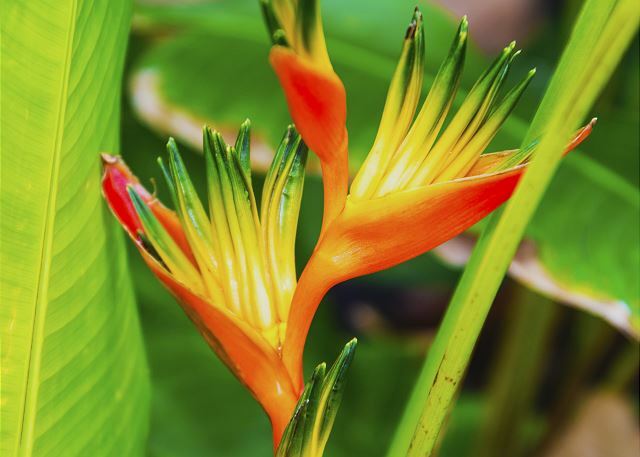 Historic Lahaina Town is a short drive as are our islands best beaches, most popular luaus, Honolua Bay Marine Reserve, surfing, restaurants and shopping! 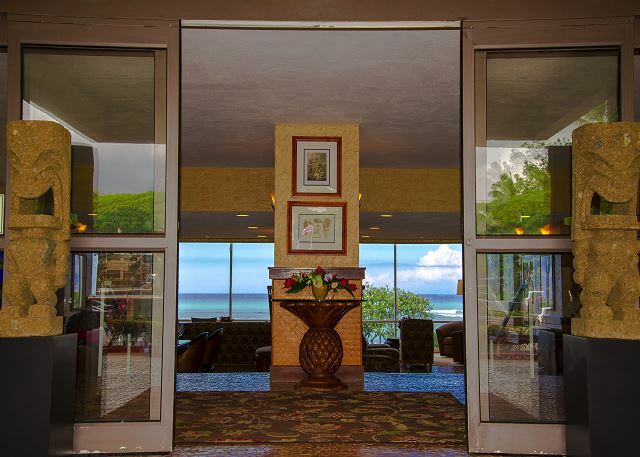 Come experience our romantic island resort -- your home away from home! 4/5 stars Review by TA - Andrew D.
We had a great time on island, exploring and relaxing. After camping for 9 days it was nice to have a unit to ourselves. Surprised to see a washer/dryer but welcomed being able to clean the clothes. Good location, although don't expect beach front. The BadThe mattress is WELL worn. The wife and I both noticed depressions on either side of the bed. Would be nice to have an updated mattress - something that will hold up longer over time and to varying body size so noticeable depressions cant take root. Overall -We enjoyed our stay, it was quiet for being around the holiday season, we didn't expect beach front since it was noted on the website. There are several restaurants nearby within walking distance and the nightly rate was decent. We enjoyed being on the ground level being able to walk right out the patio. The unit was exactly like the pictures. We really enjoyed our one bedroom complete with everything we needed. Super clean, quiet and comfortable. 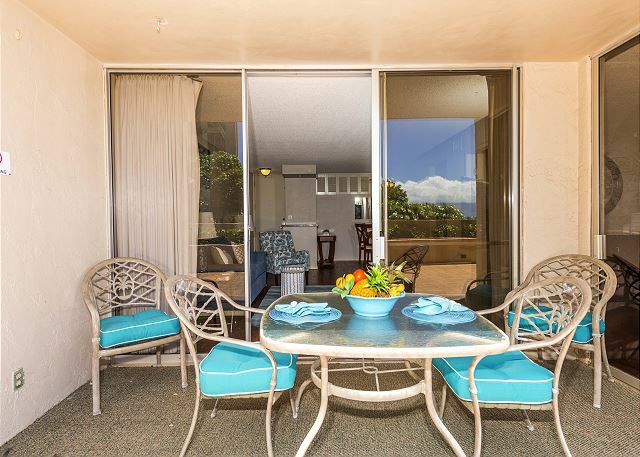 5/5 stars Review by Lisa L.
We loved staying at the Royal Kahana #107!! There was plenty of space for our family of 4! The boys shared the pull out bed in the living room. We didn’t have sheets for that bed on day 1, but they brought them to us on day 2. I absolutely loved having a washer and dryer in the condo!!! We just loved the location and the location of the unit within the building. The sunset from the patio is amazing!! We would have loved a late checkout, due to a late night flight, but were unable to get that accommodated. That would have really helped us out. Aside from that, it was great!!!!! 5/5 stars Review by AB - Devlyn N.
very nice 1 br condo. quiet and close to entry of complex. easy to get to pool and beach area. comfortable bed. clean and well stocked. 5/5 stars Review by AB-Brenda O. It was a great experience and near the beach. Nice calm place to relax. 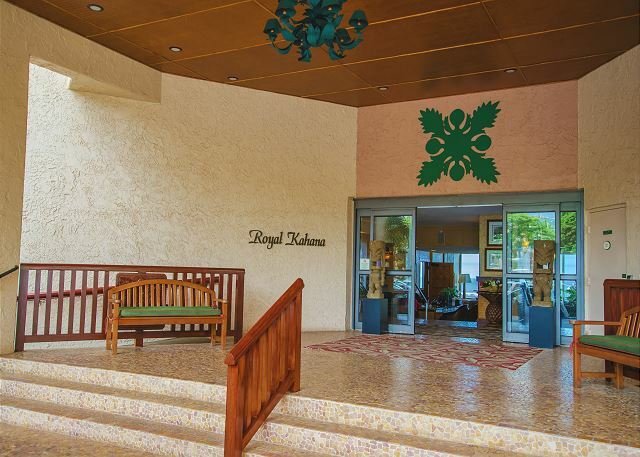 5/5 stars Review by TA-Joanna M.
We enjoyed our stay at the Royal Kahana! The room was very clean and very comfortable. The room had everything we needed, and some more! It was nice that there were a few essentials left, like sugar, salt, pepper, and a few other things. We left a few of the extras we had as well! We used the bbq grill and swam in the pool. The weather wasn't the greatest so it was nice to be inside on a comfortable couch and watch a little tv. The only downside the this property is the beach erosion, there is absolutely no beach left at this property, but you can walk down the road and get access to the beach, maybe a 2 minute walk. We stayed in this property for the month of January. The management company gave us great directions to locate the property, and were quick to remind us how to get in when we locked ourselves out. The kitchen was well equipped, altho we had to buy a skillet as the one there stuck everything to it. The bed was comfy, and I loved the in house washer and dryer. It was not very clean - dust and baby toys under the couch and TV stand, dust on dining table and bedroom tables. Supplied coffee and cookies were a nice touch. We really enjoyed our time here. The accommodations look exactly like the pictures. Clean with so many extras. Beach chairs and toys, extra towels, condiments in the refrigerator. It was easy to get comfortable right away. We enjoyed looking at whales off the patio! The only disappointment was that the beach is not accessible due to so much erosion. 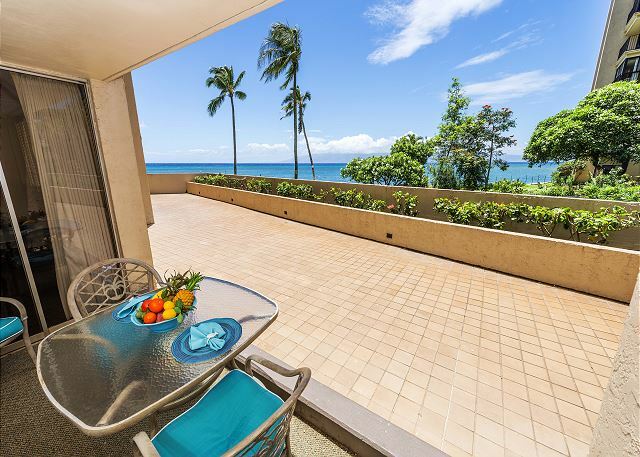 Very close to other beaches as well as close to Lahaina, Kaanapali and Napili. There was so much to do. We can’t wait to come back! 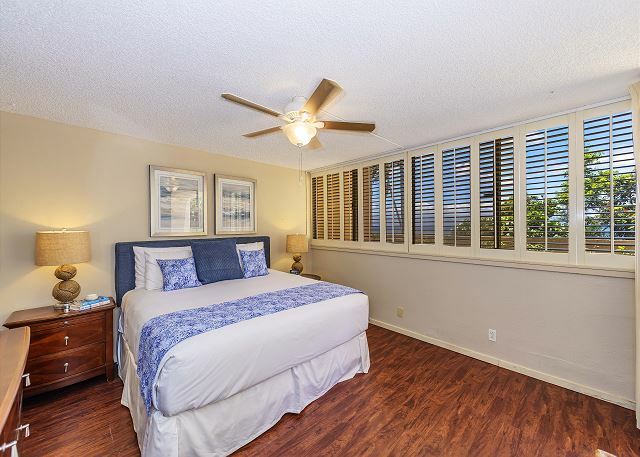 1/5 stars Review by TA-Tracy T.
Comfortable, clean,and had everything you need for a relaxing week in Maui. 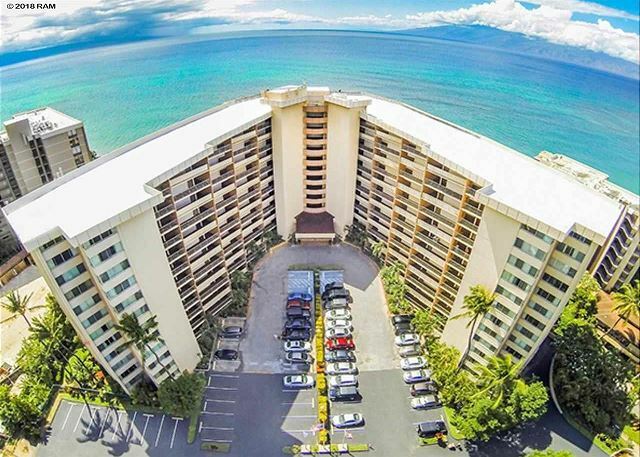 5/5 stars Review by William S.
This is our 5th stay at Royal Kahana and our third stay in this unit, quite satisfie, nice place, helpful staff, great location. 5/5 stars Review by Keith S.
We had the best time ever. The location was perfect- out of the traffic of Lahaina and Kaapalui but still convenient to both. No beach behind the property was a little let down but there were plenty of beaches close by.Don't put too much faith in the fancy restaurants- most of them disappoint. Maui Brewing Company, at the highway, was one of the better meals(fries in duck fat! )The room was just as advertised. 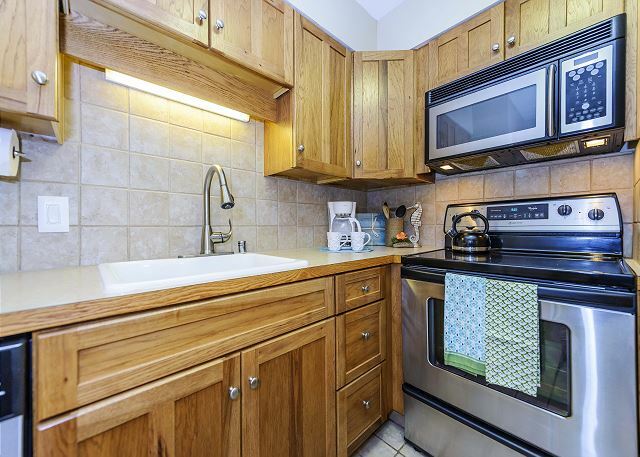 There were plenty of conveniences (ie towels dishes et.) and having the washer/dryer in the room made it even better. The view was spectacular with sunsets over Lanai wevery night. As far as epics responsibility for this rental unit, every thing was as advertised. Very enjoyable.The only real problem was with the Royal Kahana resort personal. I know this is not your responsibility. My wife and I feel we were totally scamed by Keri Nicholson one of the resorts concierges.We attened her presentation on some of the local activities and made (3) purchases for a total of$964.43. Being in Hawaii we thought the price was out of line but maybe that's the going rates.Boy where we surprised when we went into Lahaina.What a shock.Could have paid half the price for the same activities. 3/5 stars Review by BRIAN I. Great location. Close to everything in the complex. 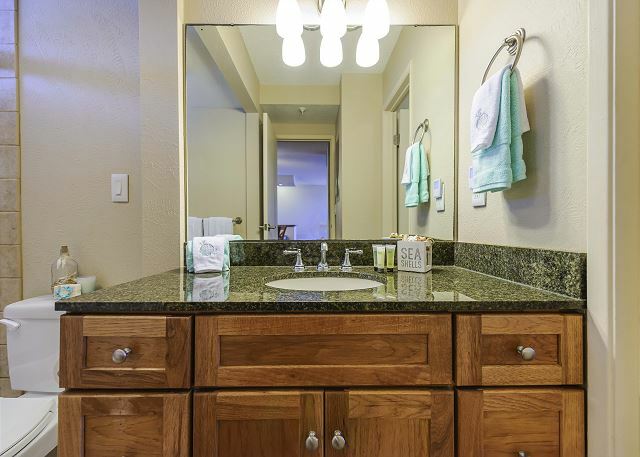 Remodeled bathroom and updated appliances were nice. Fast internet connection.The lanai is very small, crammed and the patio furniture is very old and weathered. We didn't bother using it since there really isn't any space to move there. The a/c was easy to figure out but is severely under-powered for this unit or it needs a major overhaul. The unit did not get below 75* at night and 76* during the day, while the a/c was on the entire time. We found three roaches during our one week stay. Two in the kitchen and one on the bed. The comforter on the bed had stains on it as mentioned in other reviews. Some of the utensils in the drawer were not clean. 3/5 stars Review by Gregg K.
the condo was fine. We had issues with roaches, fruit flies and piles of sand that werent cleaned up after the last renters. 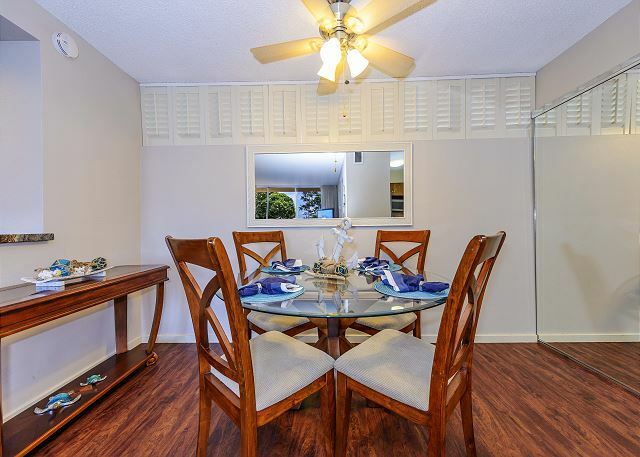 The lanai furniture was awkwardly arranged making accessing the condo somewhat difficult and the AC unit wasnt adjustable, nor was it explained how to use. The agent was always accesaible and did creidt us back some days, which was very thoughtfu. I think she is a little ditsy as she always seemed to never be 100% focused on the conversation and would confuse units/renters whcih equatled headaches as I tried to wrap my hands around her explanations. We were connected with an excursion concierge. Seemed okay. Always available. 5/5 stars Review by Airbnb Bob S.
The experience was very good.Directions/instructions were clear, checking in simple, the accommodation met expectations (with a couple exceptions; see below)and when we needed some technical response to plugged drains, it was dealt with promptly. Minor problems included 1) cockroaches in the kitchen, 2)access to the beach was prohibited because of wave damage, 3) and only one of the BBQs electric ignitions worked (but promised to be fixed). The white bed cover was visibly soiled and should have been cleaned between guests. It was quiet, very convenient, being on the ground floor, easily accessed and secure. The kitchen was well-equipped and the beach chairs and towels were appreciated. The hardwood floors (versus carpet) was a real positive. 5/5 stars Review by Airbnb Lynette D.
I arrived and found the lock code was not working. I called the provided number and shortly got called back and provided the proper lock. Great, we didn't have to sleep in the lobby but that got me worried for a moment.The property is well furnished and we had good use of the provided beach mats and chairs. Although the beach access is closed, the nearby beaches are very accessible to the area. 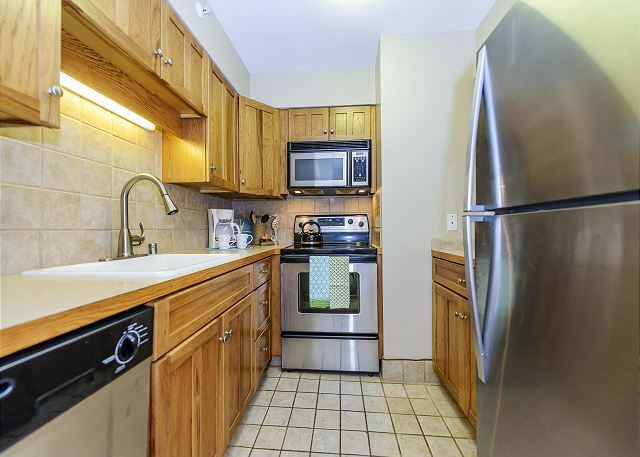 5/5 stars Review by Suzanne S.
The condo is well equipped with kitchen supplies for cooking. it walks out to a patio with stairs down to the beach. The condo is very confortable,clean and quiet. We saw beautiful sunsets from our patio. This was truly ahome awawy from home. I would definetly stay here again. 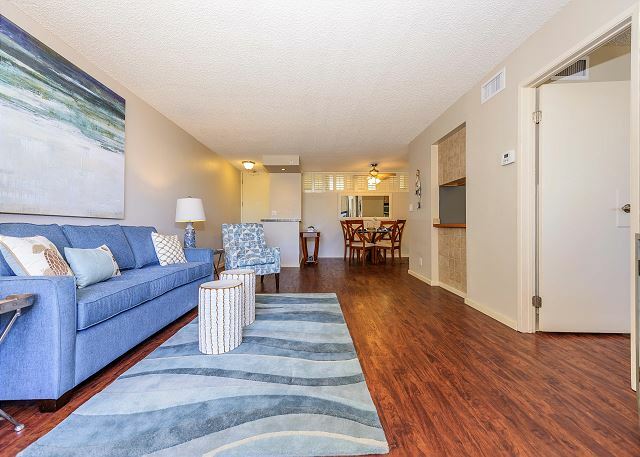 We enjoyed the location of the condo, especially being on the ground floor. 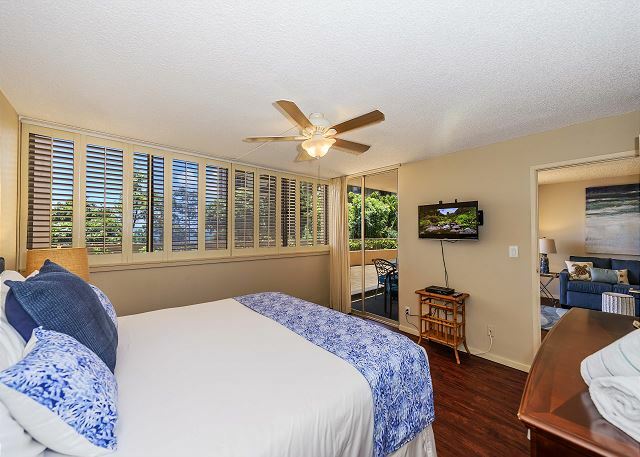 Good home base to explore Napili and Kapalua areas. 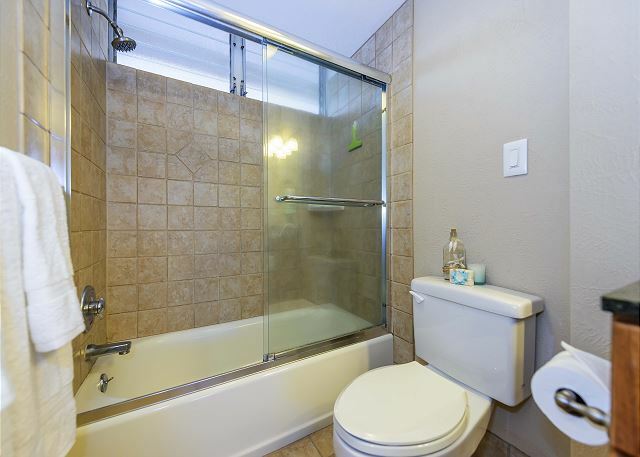 We found this condo could use a deep clean and there were a few maintenance issues. It would be nice if the A/C cooled the bedroom.The management company was good to deal with. The Pool at Royal Kahana was a nice temperature, but they were doing maintenance including jack hammering while we were there. Rental was good. Loved the first floor location. It was the best. So easy to get back and forth to the beach!! Our only disappointment was the air conditioning never did work right. It was very loud in the bedroom, where the unit was located. It never got below 75 degrees in the condo. The carpet really needs to be cleaned. My white socks will never be clean. Kitchen was well stocked. Appreciated the beach chairs, cooler, etc. 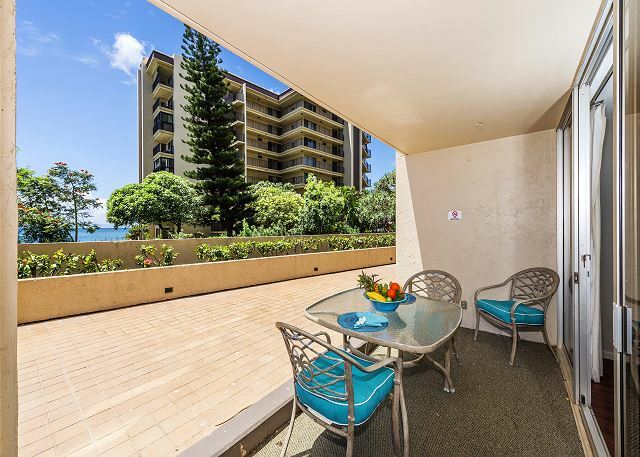 Hawaii is very nice and condo very nice and well located. We had a great time. The only things I would complain about would be the sheets on the bed did not fit, every night the fitted sheet and mattress pad fell off. The snack shop did not stay open and the employee did not want to work very hard. The refrigerator did not work when we arrived but I called and it was fixed right away. 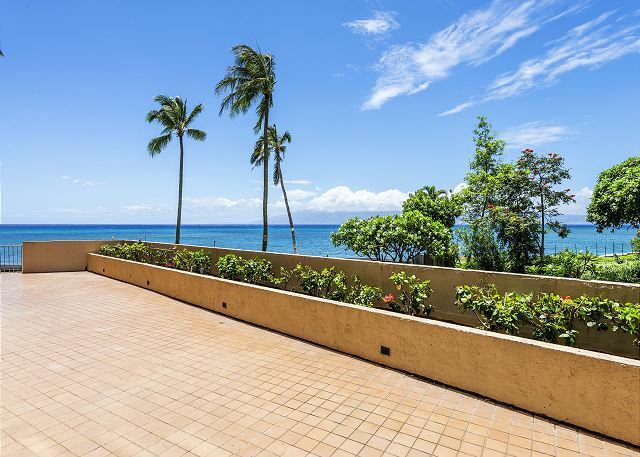 This condo is in a perfect location- far enough from the busy town of Lahaina but so close to a beautiful beach. 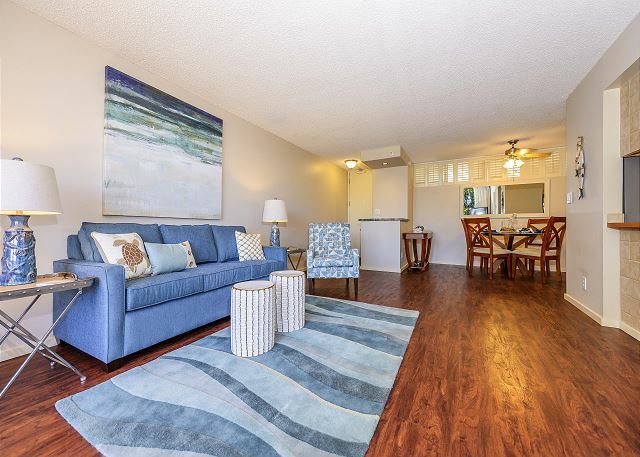 Perfect sized condo with spacious dining and living room. We had a couple minor issues but management was quick to resolve them and had excellent customer service. 5/5 stars Review by Gary H.
Very nice condo. Walk out to the beach and nice pool. We really enjoyed our stay! 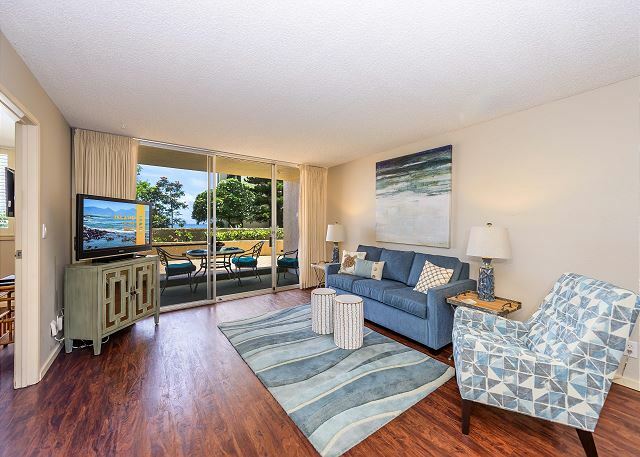 I have been fortunate to stay at probably 15 different condo buildings between Napili and Honokowai and this is one of the most well appointed condos I have stayed in. 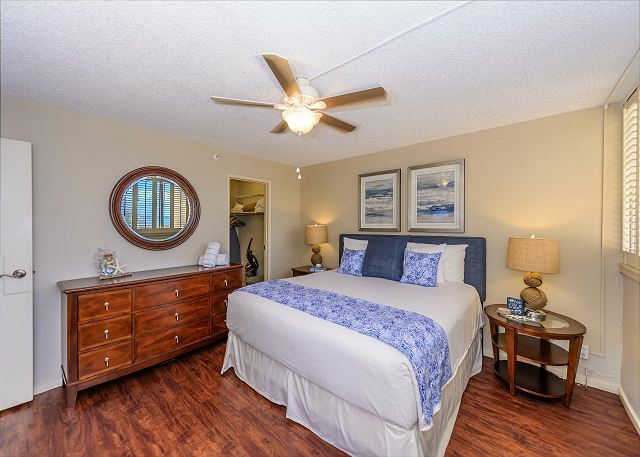 Great furniture, large place, great appliances and well laid out, very clean, great property with a decent pool and very friendly staff at the complex and good location. 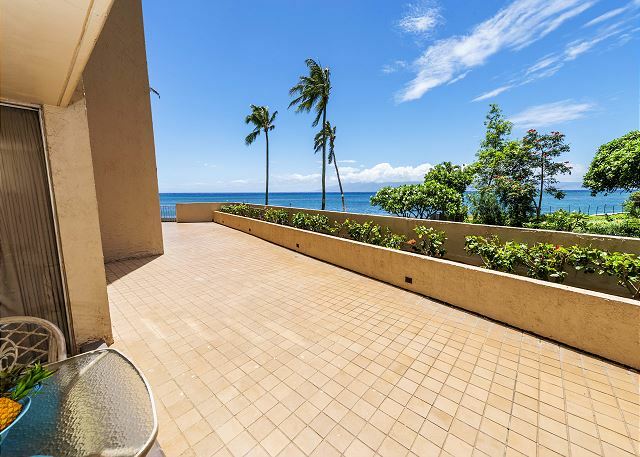 Downside is the room does face the ocean at a sharp angle but while seated on the Lanai or from any room you cannot see the ocean due to a concrete wall out on the deck. 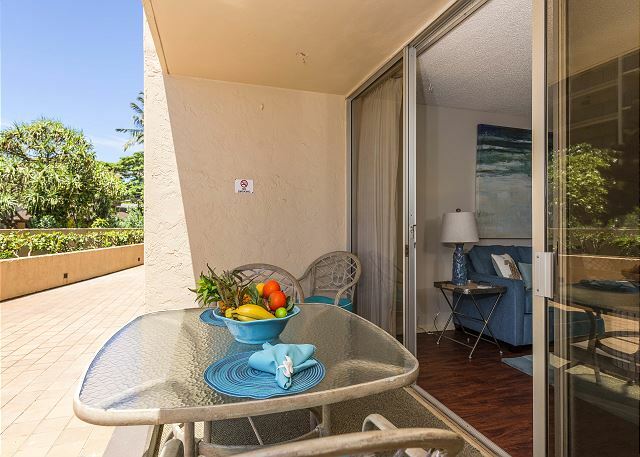 Maybe get a bar height table and chairs for the Lanai so you can relax and see the ocean? I see many others have that and makes sense. Also, fridge broke down and we lost a ton of fish and vegetables (of which they have offered to replace $$ (much appreciated) they were very responsive but the service people brought a replacement FREEZER and not a refrigerator. A couple of days later it was corrected and the friddge was repaired as I noticed they changed out the thermostat in it. I certainly was not mislead and we definitely enjoyed out 12 days and I should have studied the pictures better and again, fantastic place but tough for a view unless you are standing to look out, great property management and very responsive. 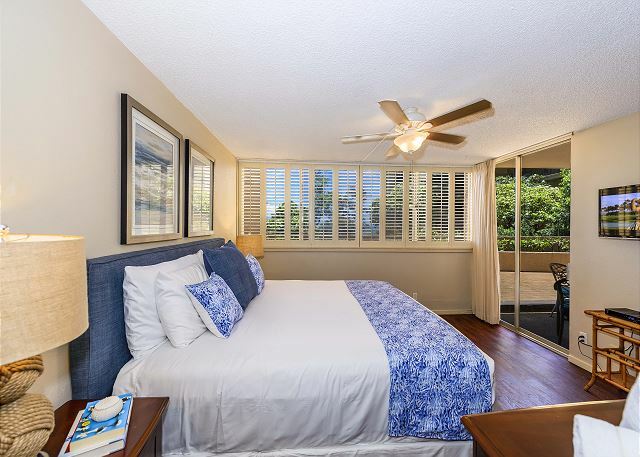 5/5 stars Review by Robert C.
My wife and I enjoyed staying at The Royal Kahana during our honeymoon! It was spacious and had everything we needed. 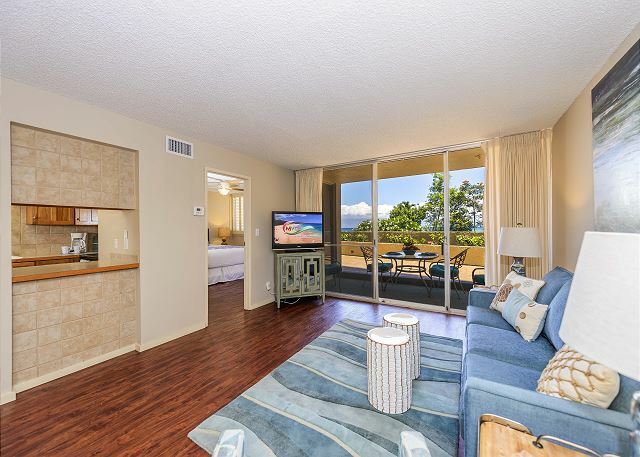 We especially enjoyed being close to the water from the sliding glass door to the Lanai as well as being close to the parking lot and lobby from the front. By the end of our trip, we did not want to go home!!! Very enjoyable stay. Quiet location with private beach. Not in Lahaina (20 minutes drive to Lahaina) although it has a Lahaina address. Internet never worked. Great unit for a couple! 4/5 stars Review by Emily H.
I was very pleased with the cleanliness of the unit in question and how well stocked it was, especially with little amenities like dishwasher detergent, soap, coffee, etc... It was a great place to be able to hang out and relax with my husband. 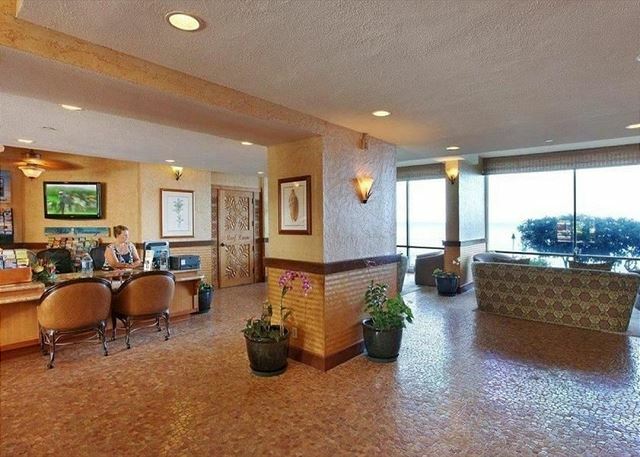 The beach, pool and lobby were all easy to get to. We did have a couple issues with construction noise and a non-functional washer but they were well dealt with by the property mgmt. company. The main thing I think I would "fix" about the unit is to give directions on how to use the central air. The thermostat didn't seem to respond predictably. Probably user error though! 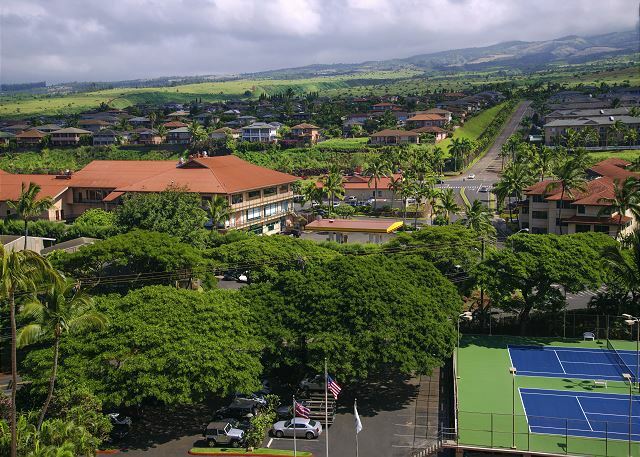 Loved the Royal Kahana and Epic Realty! 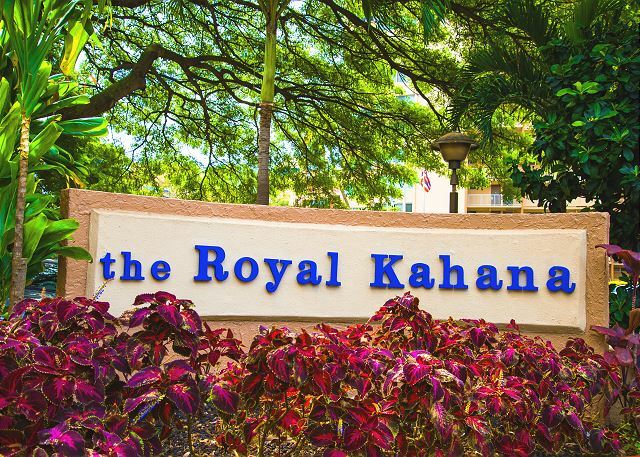 5/5 stars Review by Sara S.
We loved staying at the Royal Kahana! 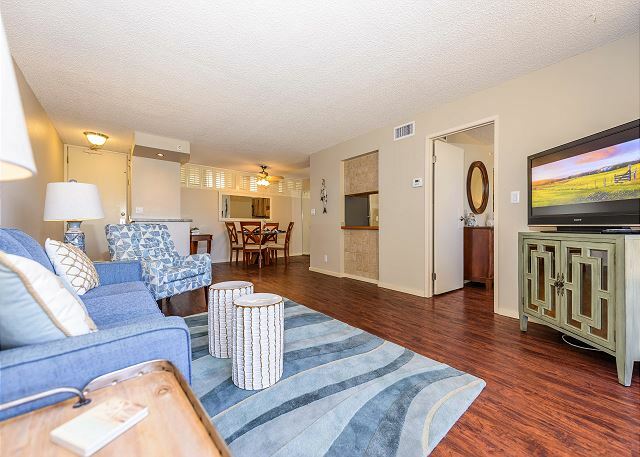 The unit was spacious and well maintained, and the complex is right on a sandy beach. 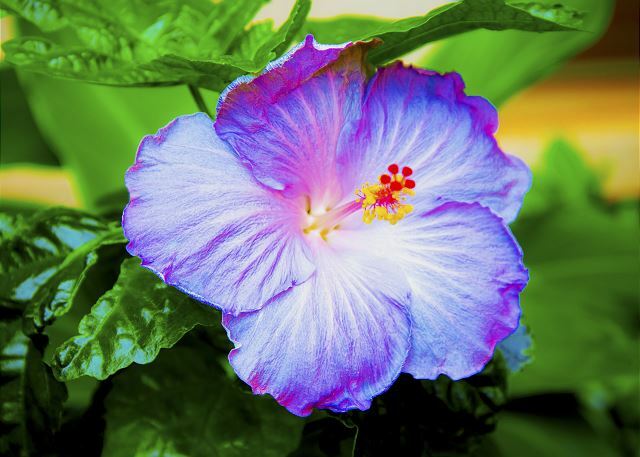 Getting to Kaanapali or Lahaina for dinnerware drinks is easy, and there are also some great restaurants nearby - try Gazebo for breakfast and Miso Phat for sushi! There's also a couple of nice quick stops for groceries or whatever else you need, and a good coffee shop and dive shop. We also loved being near some of our favorite west Maui spots - Napili and Kapalua Beaches, Honolua Bay for snorkeling, and the "Dragons Teeth" lava formations at the corner of Lower Honoapiilani rd. and Office rd. !Kim Marie the host was wonderful- she sent us all of the checkin details in advance, and was super friendly even when we had to call her at 9pm because we had locked all 3 keys in the unit! She came by and let us in with a smile - we were so relieved! We hope to come back to Maui soon an would definitely stay here again!